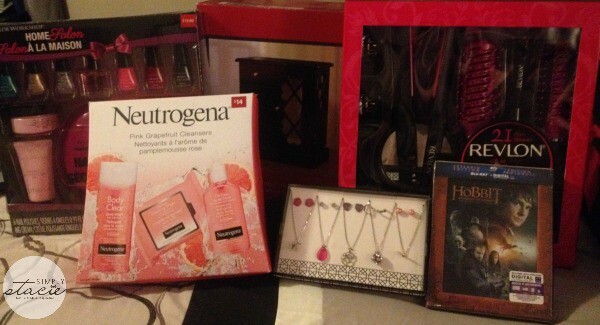 My daughter, Olivia, is 15 years old and she’s at that age where it’s hard to know what to buy her for Christmas. I know she loves clothes and anything fashion related like handbags and shoes, but I’d probably end up picking up an outfit that she won’t wear. 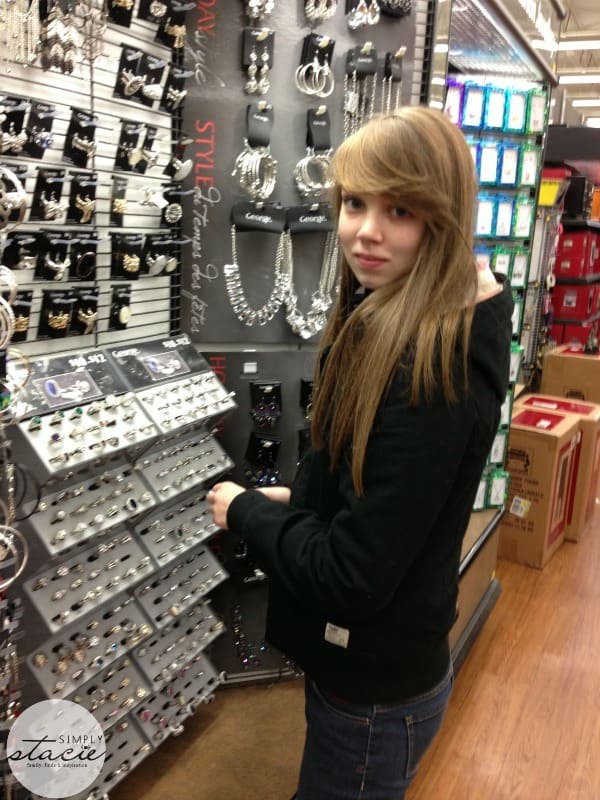 Often times I’ll take her shopping and walk around the store with her and ask her to point out the products she likes. Then later on, I’ll come back to the store and try to remember everything to buy for her. Without fail, I’ll forget something or buy the wrong item. This year things will be different because I’ve discovered the perfect gift for Olivia: the Angry Birds™ Visa® Prepaid Card. Let me start off first by saying that this is not a credit card. 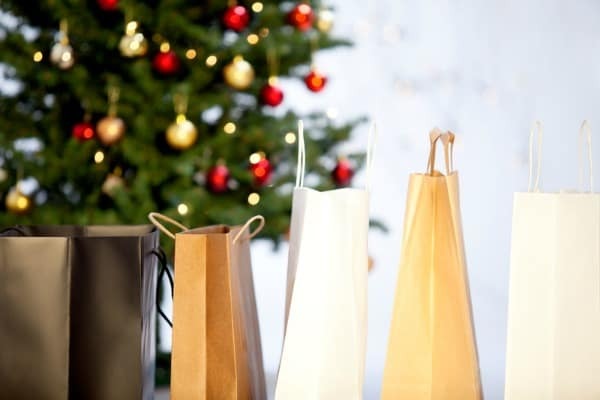 With a credit card, you spend first then pay for it later. 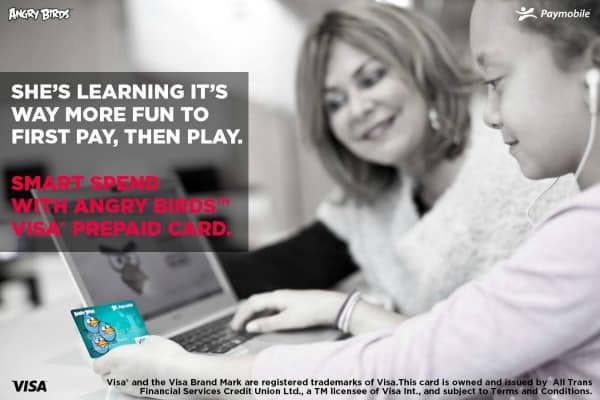 With the Angry Birds™ Visa® Prepaid Card you pay now and buy later so you’ll never pay interest. We decided to do some Christmas shopping at Walmart with the Angry Birds™ Visa® Prepaid Card. 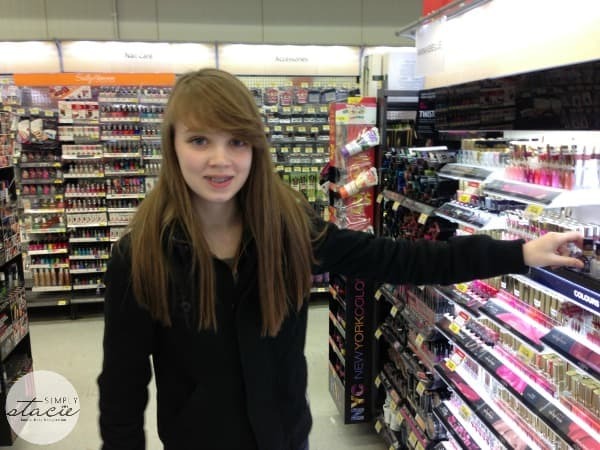 Olivia loves checking out all the beauty products. She also let us know some of the jewelry she liked. Later on, John and I went back and picked up a few of the items we knew she wanted. I found a great deal on this jewelry set for $10. Olivia enjoys painting her nails and I figured she would like this Home Salon nail set. We could all benefit from that nail dryer! When it came time to check out, the cashier told me my total (which came in under my budget too!) and I told her “Visa”. Then it’s just a matter of swiping the card and it was almost instantly approved. Angry Birds™ Visa® Prepaid Card are accepted anywhere Visa is accepted. After testing out the Angry Birds™ Visa® Prepaid Card myself, I now see how it’s the perfect gift for a teen (or tween). In fact, I think I’m going to get Olivia her own Angry Birds™ Visa® Prepaid Card for Christmas. Here are my ten reasons why I think the Angry Birds™ Visa® Prepaid Card is a great gift for teens like my daughter, Olivia. 1. No need to carry cash. I rarely ever have cash on me so if Olivia had her own card, she could just use it instead of me trying to dig change out of my purse to give to her. Every month I could load it with her allowance and that’s what she has to spend. 2. It will teach her to budget her money. Since she’ll have only a certain amount of money to spend every month, she will have to watch and keep track of what she buys so she doesn’t go over the amount. It teaches her that money is a finite resource and one that needs to be managed. These skills are extremely important for her to learn now while she’s young so that she is able to confidently manage money when she’s out on her own. 3. Card to card transfers are free. I can easily give Olivia her allowance by transferring money from my card to hers. 4. No interest ever. Since it’s a prepaid card and NOT a credit card, you’ll never pay a cent of interest. 5. 1.5% Cash Back. 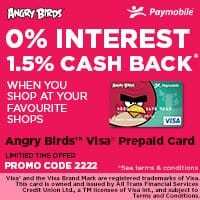 With the Angry Birds™ Visa® Prepaid Card you get cash back when you shop at your favourite stores. A card that pays you? That’s my kind of card! 6. Track spending. The only dashboard is easy to navigate site and allows you to see your purchases and know how the remaining balance with a quick glance. You can even set text message updates that come every time a purchase is made. This way you’ll always know what your teen is spending. 7. No debt. Since you load the card before you spend, debt is never an issue. 8. Safer than cash. If you lose your card, your money can be recovered. With cash, if you lose it, you’ll probably never see it again unfortunately. 9. Safe for online shopping. Olivia loves to shop for clothes online. With her own Angry Birds™ Visa® Prepaid Card, she won’t need to use my credit card for her purchases. Plus her purchases will also be protected by Visa’s Zero Liability Protection. 10. It’s easy to get. Anyone age 13 years old and older can have a card and there’s no credit check and no application process. Olivia is old enough to sign up online for one herself. I think the Angry Birds™ Visa® Prepaid Card would be beneficial to Olivia in so many ways. Besides learning about smart money management, she’ll also be able to buy her own concert tickets, clothes, and whatever else she wants. I’d much rather reload her card as a gift than give her cash that can easily be lost or stolen. I’ll also feel better knowing she always has money with her just in case. Visit Paymobile and sign up for an Angry Birds™ Visa® Prepaid Card. Just fill out a few questions, load the card and wait for it to come in the mail. You can use it at stores where Visa is accepted as well as at ATMs to withdraw cash. It’s accepted all over Canada and internationally if you’re planning to travel. For me, it just makes so much sense. I wish they had a card like this when I was growing up. I didn’t know much about managing money and learned only when I was out on my own. I want my daughter to learn about budgeting and watching her spending while she’s young so she won’t make the same mistakes I did. Connect with Paymobile on Facebook and Twitter. 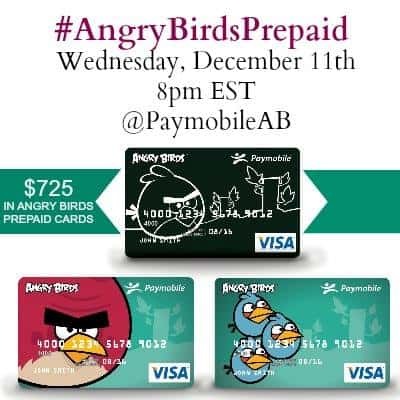 Join us on December 11th at 8pm EST for the #AngryBirdsPrepaid Twitter Party for an evening of fun and and over $725 in prizes! Details are below. Add your Twitter handle and link to the linky below. I just heard about Angry Birds and now I see how popular they are! Thanks for telling us about Angry Birds visa cards — they are so practical and convenient! OmG!!!!! This is what i need desperately, ty so much!!!! No interest!!!! Fabulous post Stacie. The Angry Birds Visa is such a great holiday gift choice for those 13+! So glad you and your daughter got to enjoy some holiday shopping!!! I have some people this would be perfect for. Thanks for the information on the Angry Birds Visa cards. This is a great idea for teen daughters. I have some hard to buy for teens that this would be perfect for. Their interests are always changing, so I think a prepaid visa is definitely the way to go! Oh I love it! But only open to Canada…That’s alright.. Good Luck ladies!! 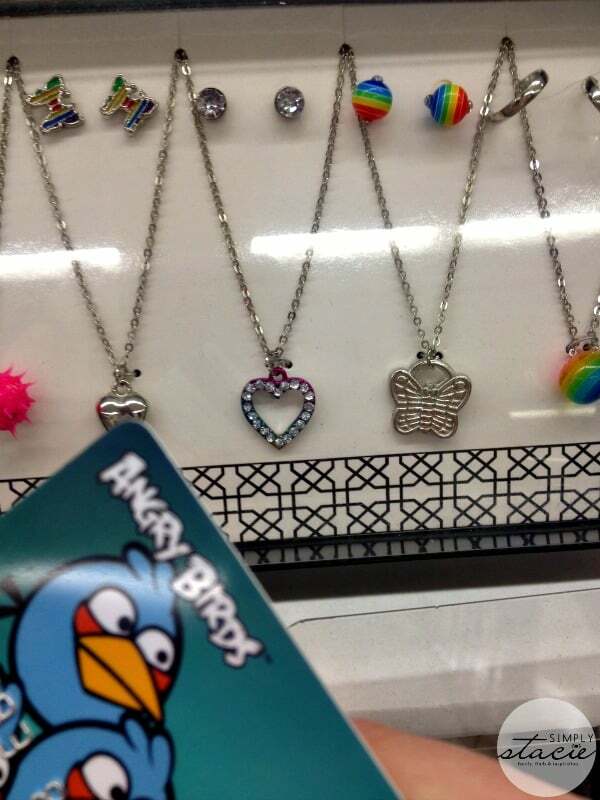 There’s Angry Birds credit cards?! Awesome!! a great idea. It’s not easy for children to learn to budget with their money. In fact it’s not easy for some adults either. I like the idea that this is a prepaid card, no over-spending, no interest, when the money’s gone it really is gone. Please add me to your list. My twitter handle is @MaraMel. Thanks!